When winter gets serious, she can too in this storm-worthy mid-length Columbia Girl's Youth Crystal Caves™ Mid Jacket. Inspired by the classic arctic explorer anorak with a longer length and faux fur details. Crafted of a waterproof shell and packed with 240g of synthetic insulation for maximum warmth and protection. 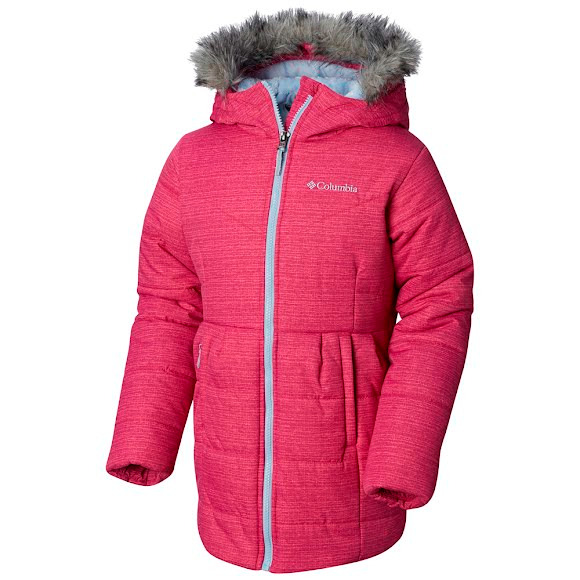 When winter gets serious, she can too in this storm-worthy mid-length Columbia Girl&apos;s Youth Crystal Caves™ Mid Jacket. Inspired by the classic arctic explorer anorak with a longer length and faux fur details. Crafted of a waterproof shell and packed with 240g of synthetic insulation for maximum warmth and protection. Featuring a plush fleece-lined collar, zippered hand pockets, and an adjustable hood.